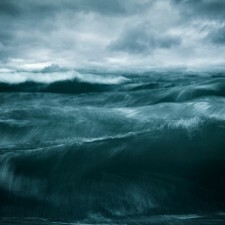 During the past three years I have developed two projects: Sea Fever and Ridge Trees. 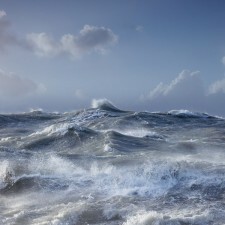 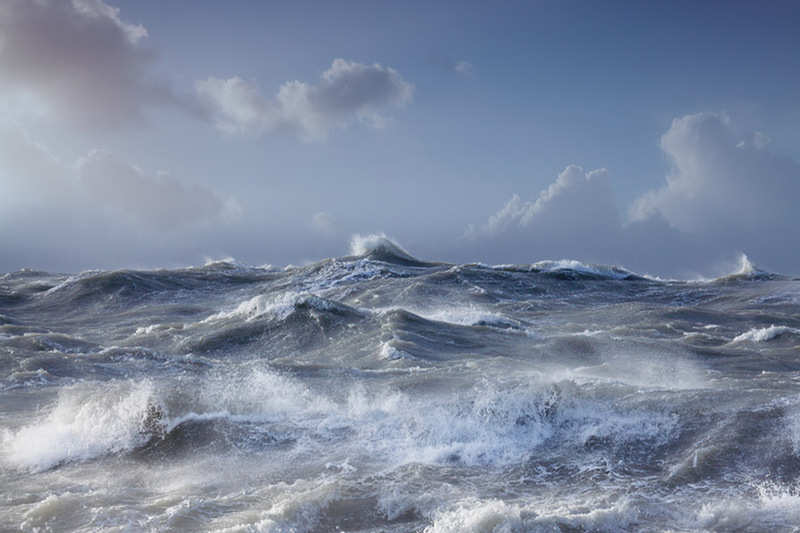 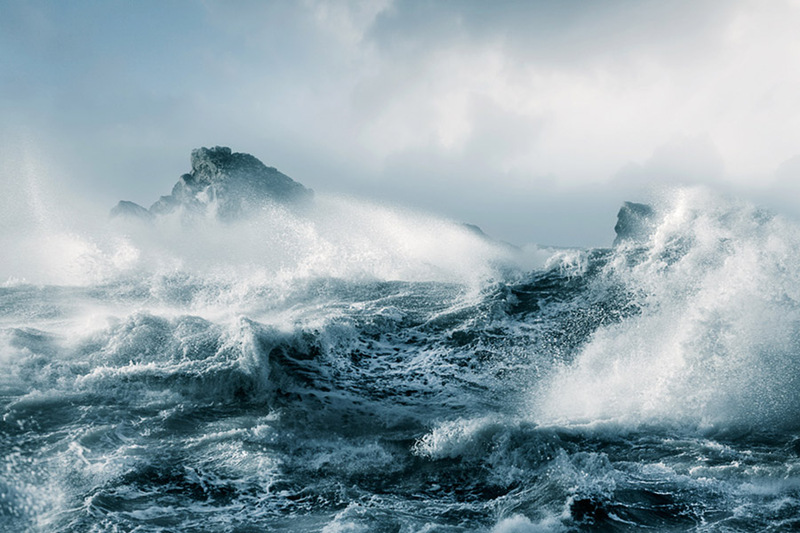 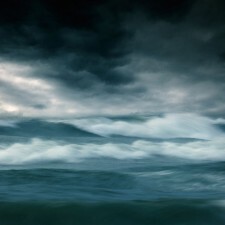 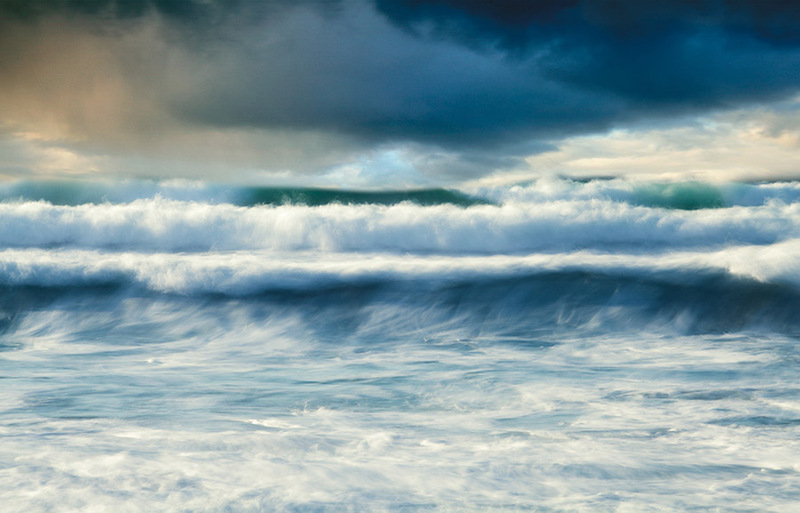 Sea Fever concentrates on the power and energy of the sea. 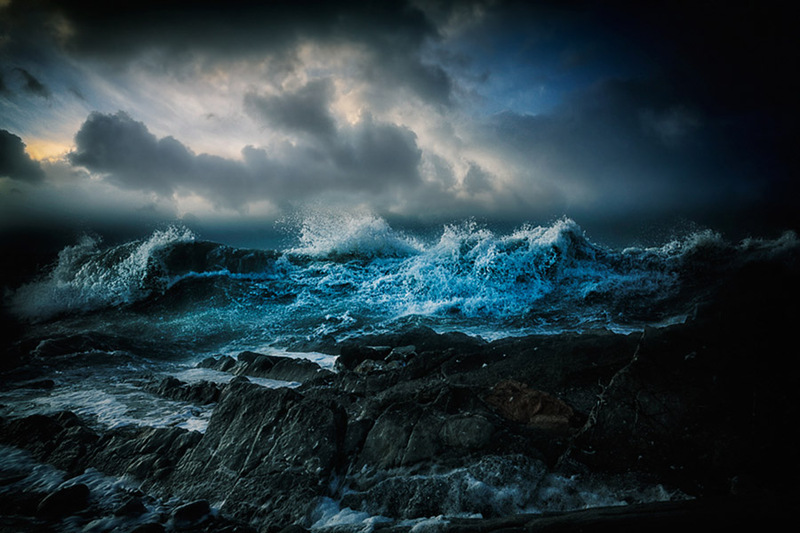 People are drawn to the sea, perhaps by the sense of power and force and the sound. 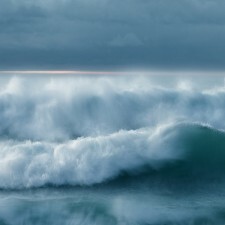 David Baker – During the past three years I have developed two projects: Sea Fever and Ridge Trees. 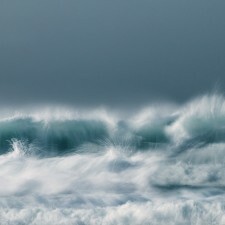 Sea Fever concentrates on the power and energy of the sea. 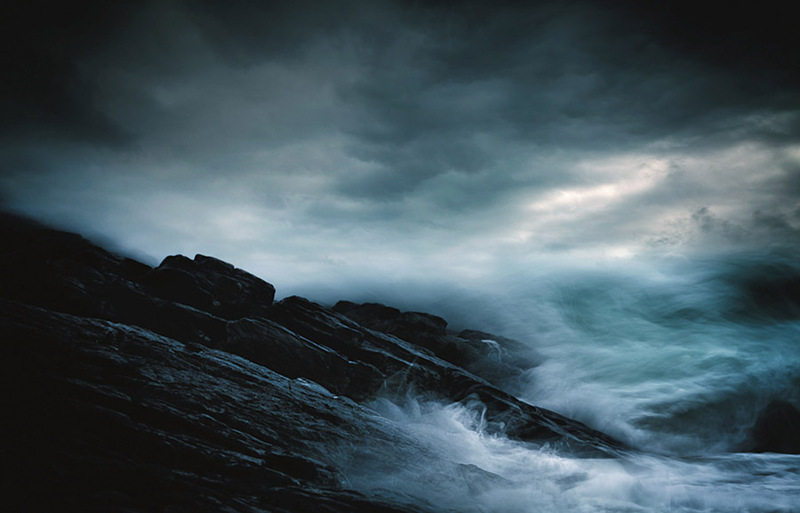 People are drawn to the sea, perhaps by the sense of power and force and the sound. 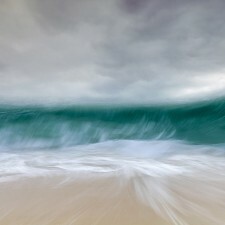 The project touches on that energy and change and is my interpretation of the close affinity between sea and sky. 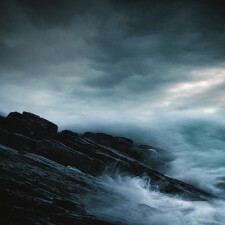 I was in the Outer Hebrides in north west Scotland during in March 2012. 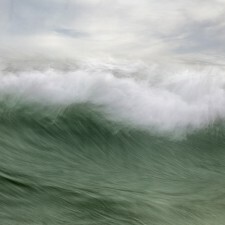 During my previous trip in February 2008, I had taken mostly long exposure shots but during March 2012 not one long exposure shot was made. 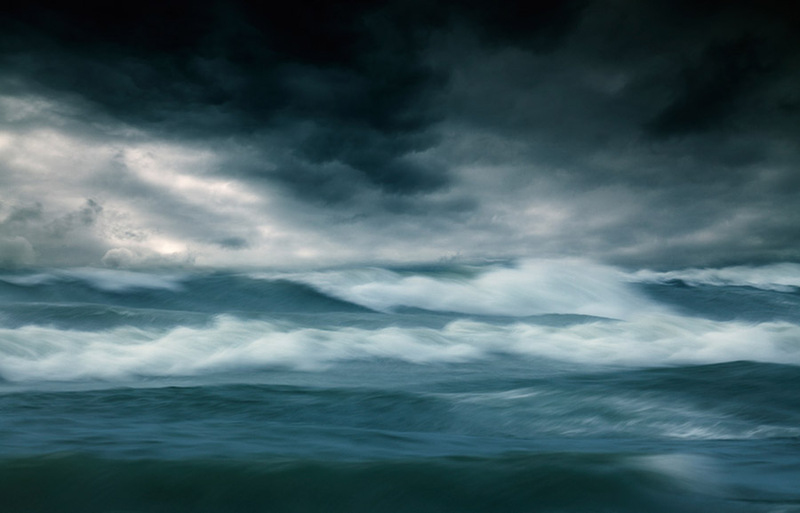 Feeling a little ‘unsettled’ I started taking shots during the closing days of the trip to capture the sea’s power in a way I had not undertaken before. 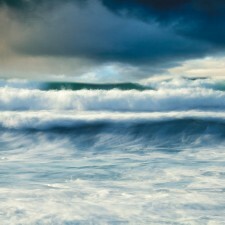 The first image, Hebridean Sea III, was uploaded to my photoblog in late April 2012 and that was that. 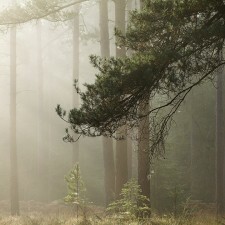 Nothing happened in terms of development of the project until August of that year when another image was processed. 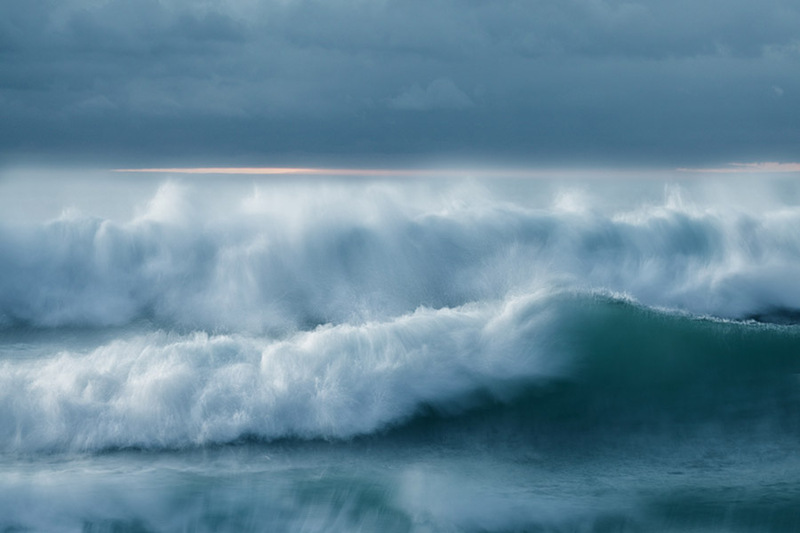 I hadn’t realised I had a potential project but from March 2013 onwards I started experimenting in acquiring images to compliment Hebridean Sea III. 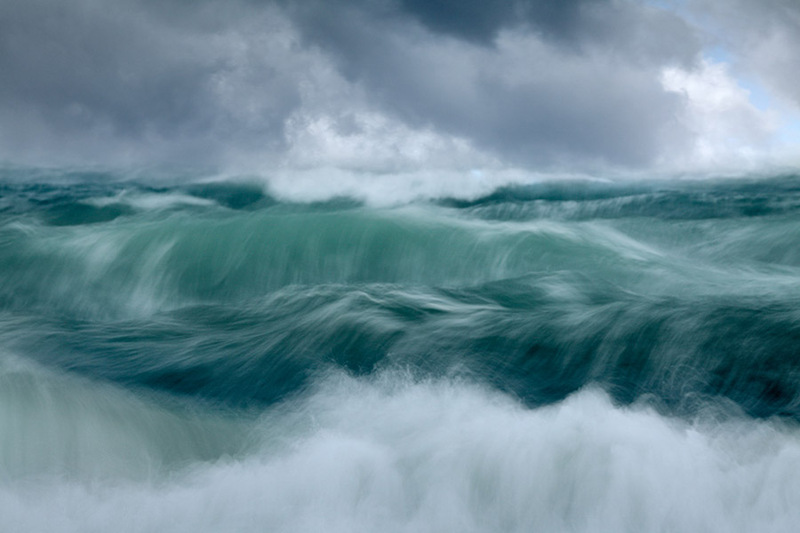 On location, I experiment with a variety of shutter speeds and focal lengths using filters whilst trying to look for relationships between the waves and ideally clouds. 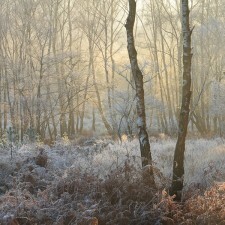 I aim to have at least a line of foreground or central wave across the frame. 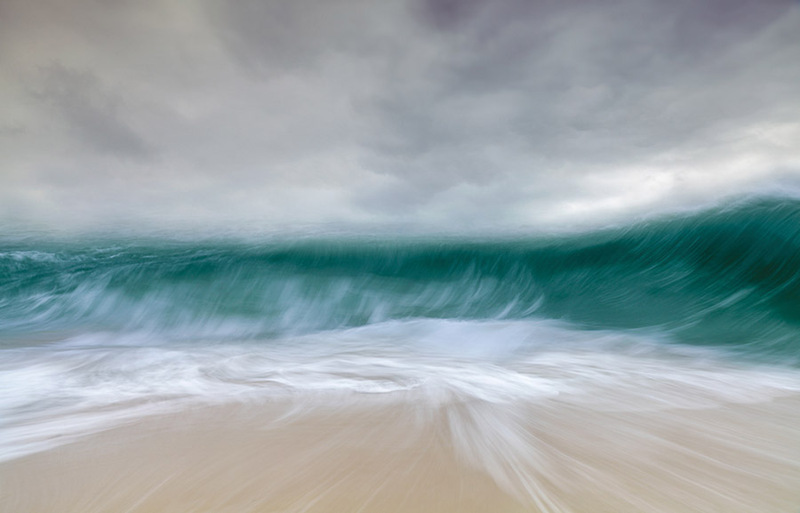 I try to take a painterly approach if that makes sense as I want the images to say this is how it feels to be at the shoreline with the battering wind full of salt, the spray, the thump of the waves, the sense of vulnerability. 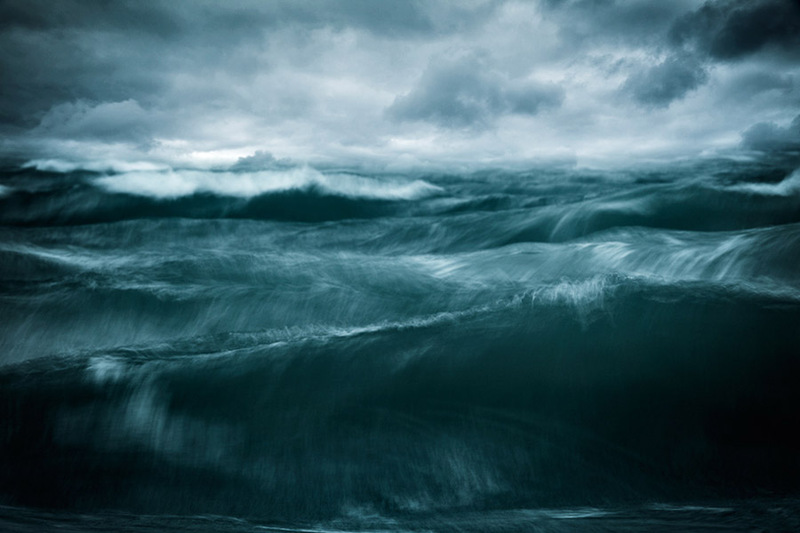 Most exposures are between 0.3 and 0.6 seconds as longer exposures tend to remove the textures and flow from the sea. 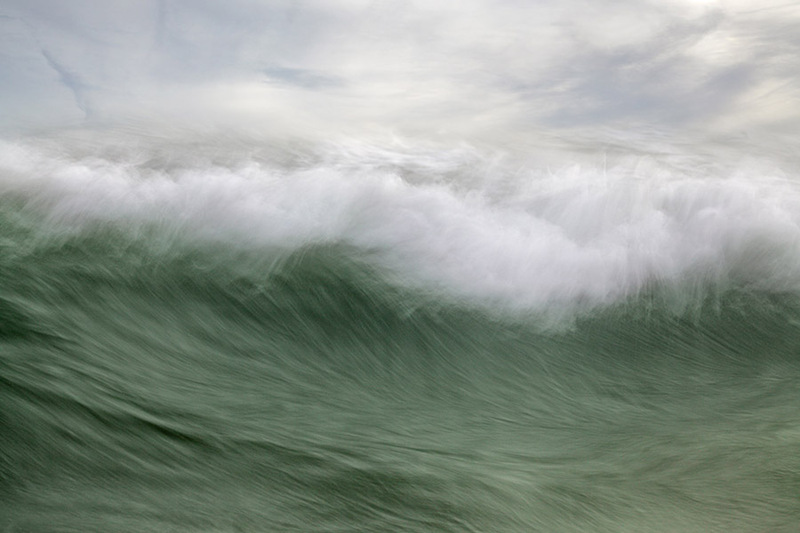 I rarely look at the sea in a freeze frame perspective and for this series I wanted to convey the constant energy and flow contained in the sea. 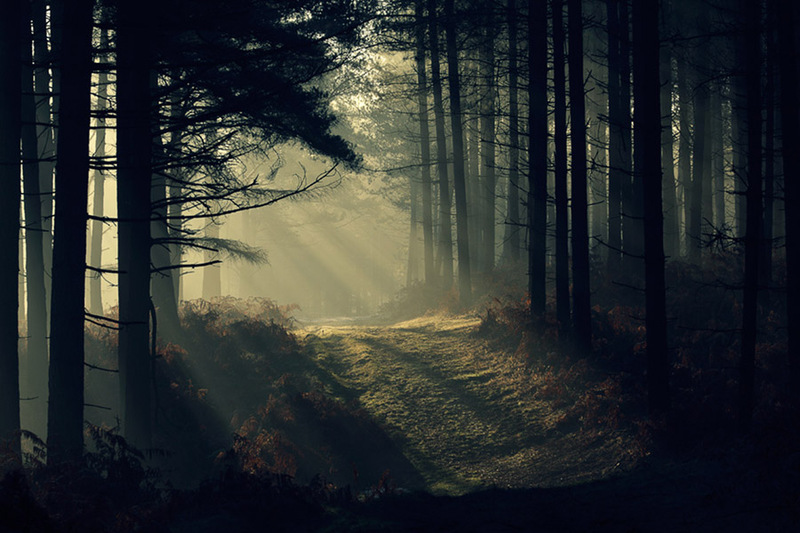 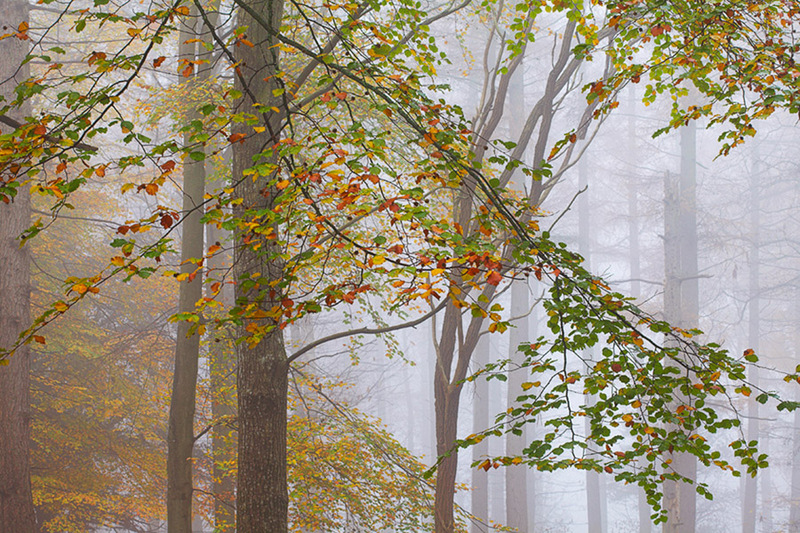 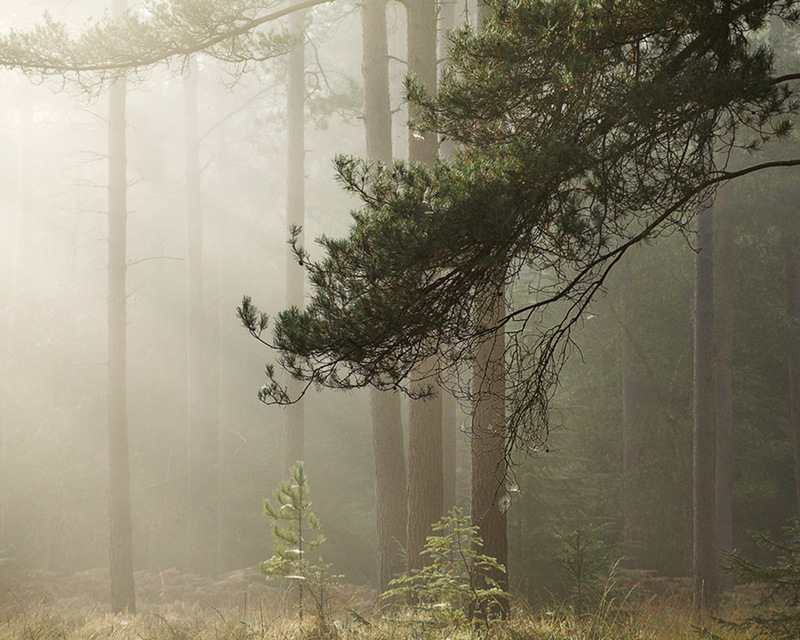 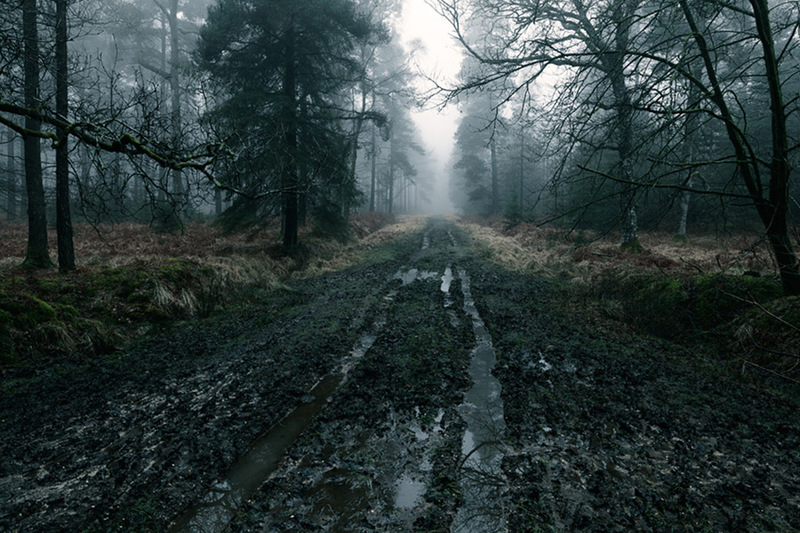 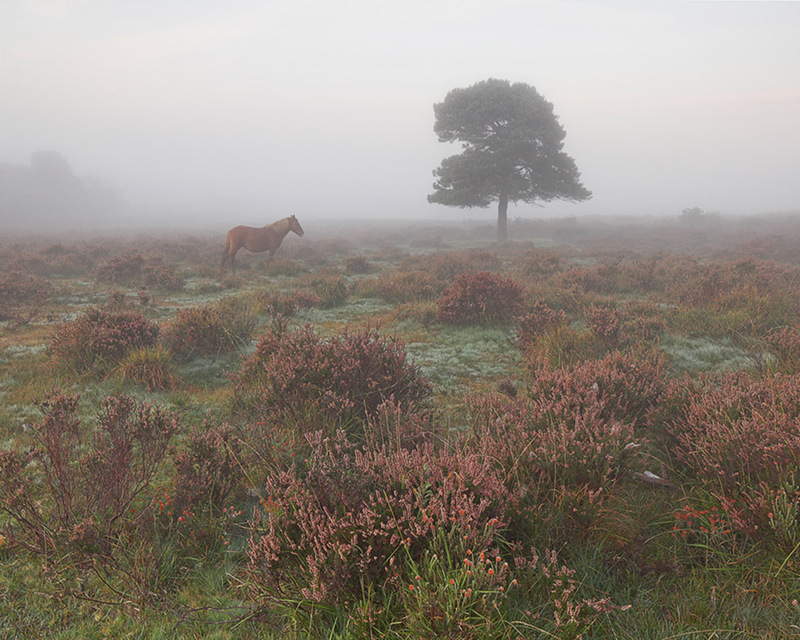 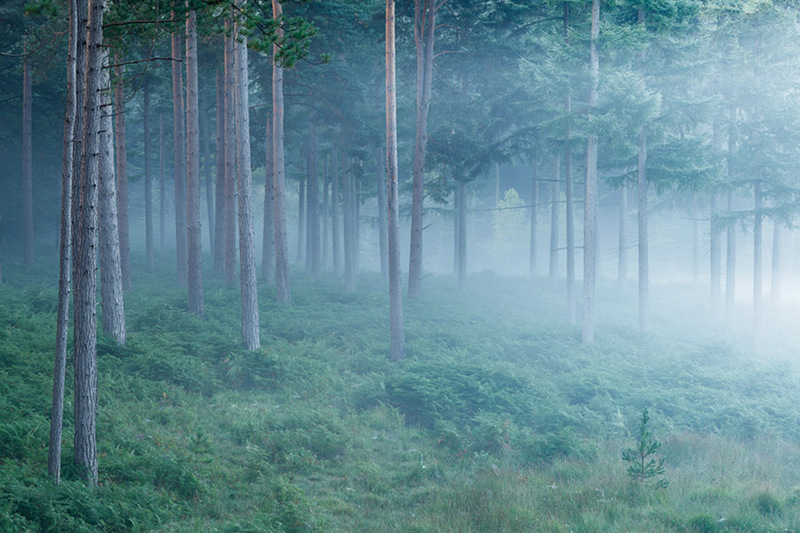 Ridge Trees concentrates on the New Forest, Hampshire, UK and is defined by three attributes – dawn, mist and location. 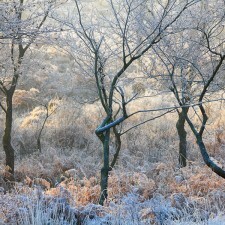 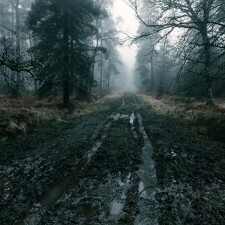 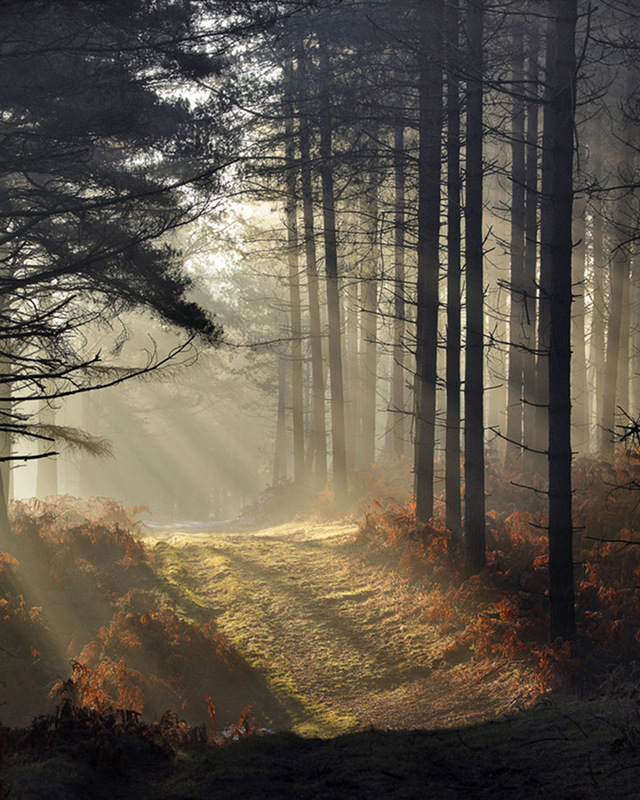 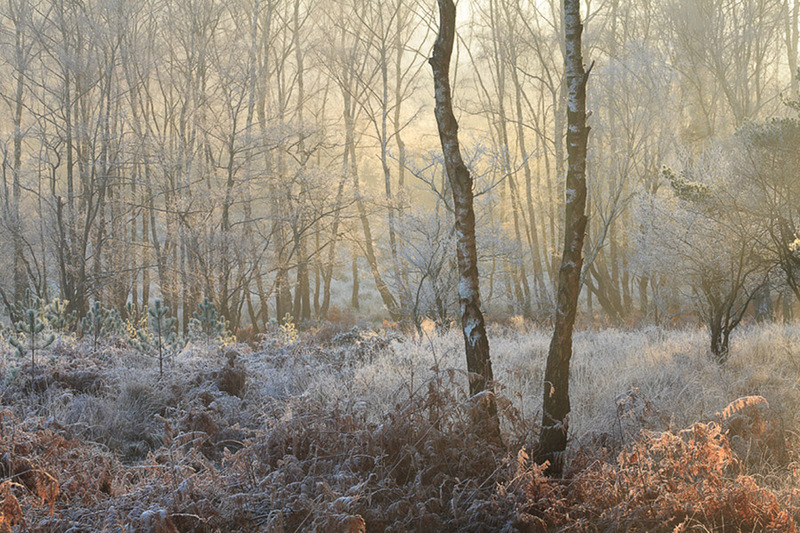 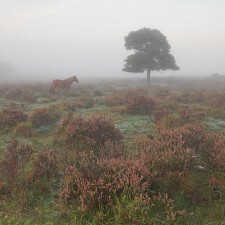 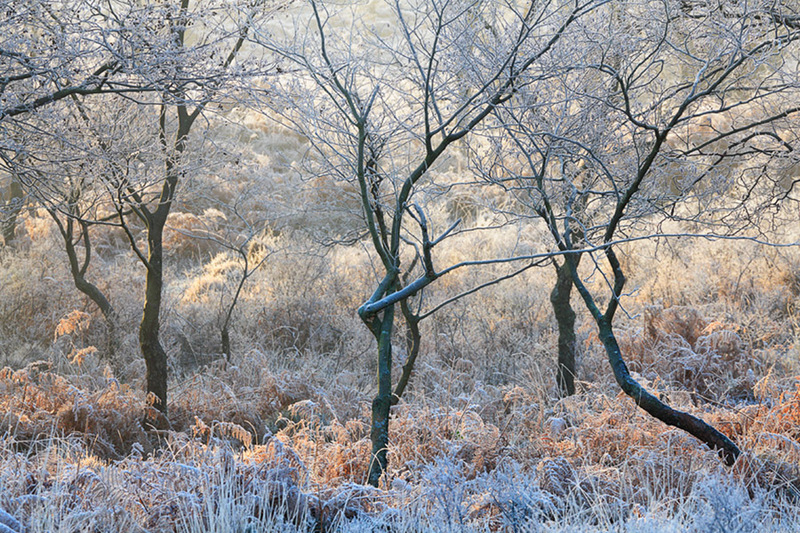 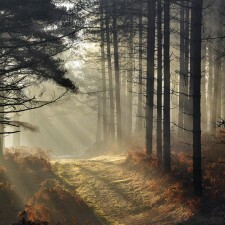 The New Forest is an extremely popular place for visitors throughout the year and especially so during daylight hours. 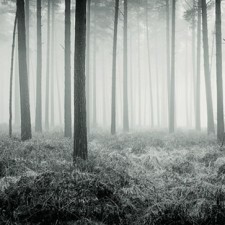 I really want to show how the Forest looks at dawn, in the autumn/winter and in mist, and hopefully provide motivation for other photographers to engage with the Forest in their own personal way. 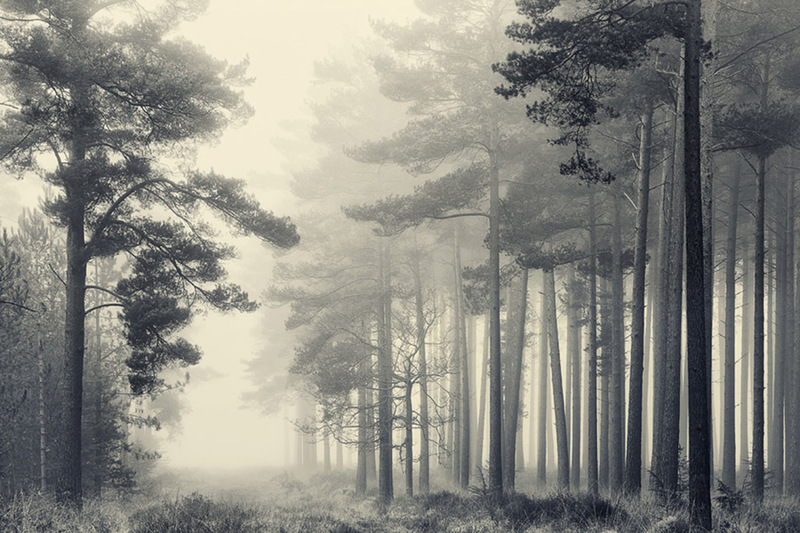 The Forest is transformed by mist especially when seen through a plantation of beautifully straight pines unencumbered by high bracken and undergrowth. 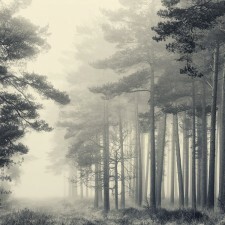 The mist softens and filters the light so much so that it’s good just to contemplate the outlook. 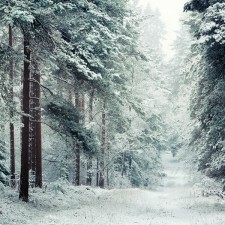 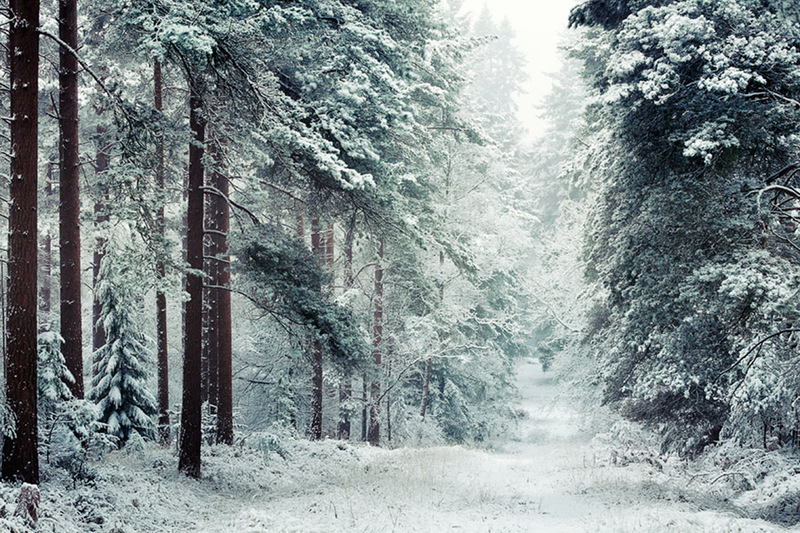 On occasion there is snow and again the Forest is transformed once more.